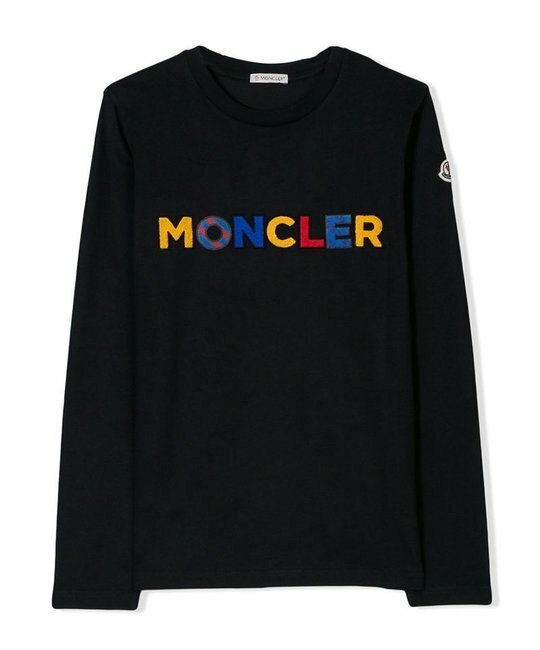 Moncler navy soft cotton jersey top with multi-colour logo detailing. 100% Cotton. Made in Portugal.